Dr. Rudolph is a graduate of the University of Minnesota College of Veterinary Medicine and took over Dr. Fistler’s practice in 1984. He has been practicing at our current location in Perham, MN, since 1986. 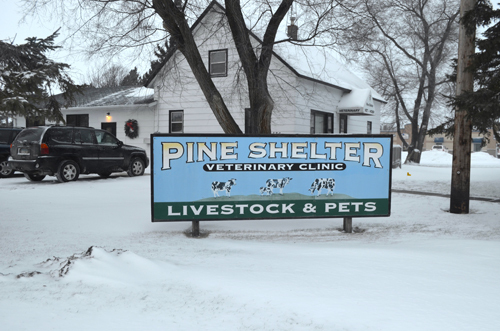 Here at Pine Shelter Veterinary Hospital, Dr. Rudolph and our friendly, professional staff welcome you and your pet with kindness and the best medical care available. We understand how important your pet is and we care for them as if they were our very own. With honesty, compassion and personal attention, we ensure that your pet receives professional care from every member of our staff. Your animal’s safety, comfort and overall wellbeing are our top priority. We are a complete service hospital and offer a full range of comprehensive services including preventative and emergency care, dental, diagnostic and surgical care of pets. We also care for your farm animals with a full scope of reproductive and preventative services. We provide pet care from beginning to end of life services including – vaccines, pet prescriptions and diagnostics from our in-house lab- for all breeds, ages and sizes. New clients are always welcome. We look forward to serving you and your pet, to ensure that they have a healthy and happy life.